Indoor sports facilities just keep getting better, improving every year with new features that draw players, coaches and spectators. From Emerson, Georgia to Rockford, Illinois, new indoor venues continue to spring up all around us. 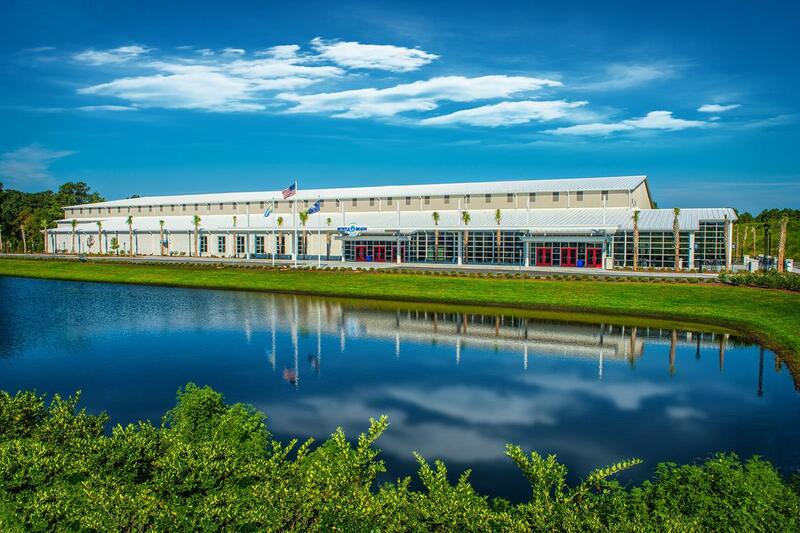 Equipped with state-of-the-art features like video boards and on-site hotels, these locations can’t help but appeal to tournament planners across America. Though some benefit from the local attractions around them, others simply lure spectators based on the amenities found at their facilities. 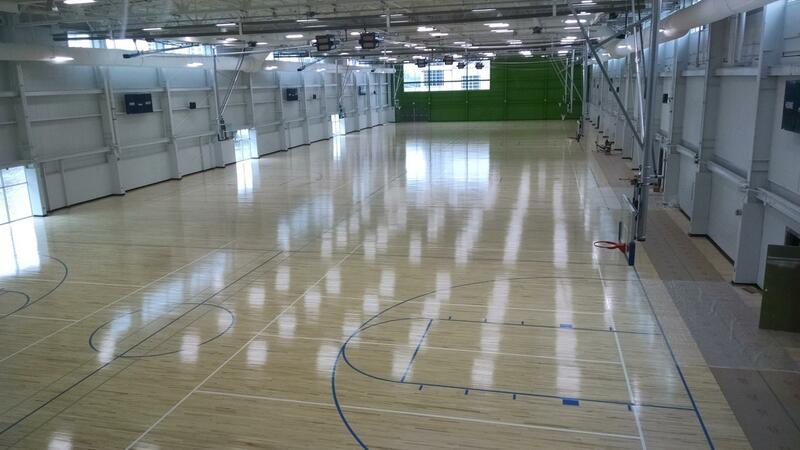 Here are 9 of the premier indoor sports venues in the country. Opened in May 2016, this venue couldn’t be newer—or more state-of-the-art. The 170,000-square-foot LakePoint Indoor Facility caters to the needs of athletes and coaches in a wide variety of sports, offering 125,000 square feet of clear-span floor space and a minimum ceiling clearance of 35 feet. 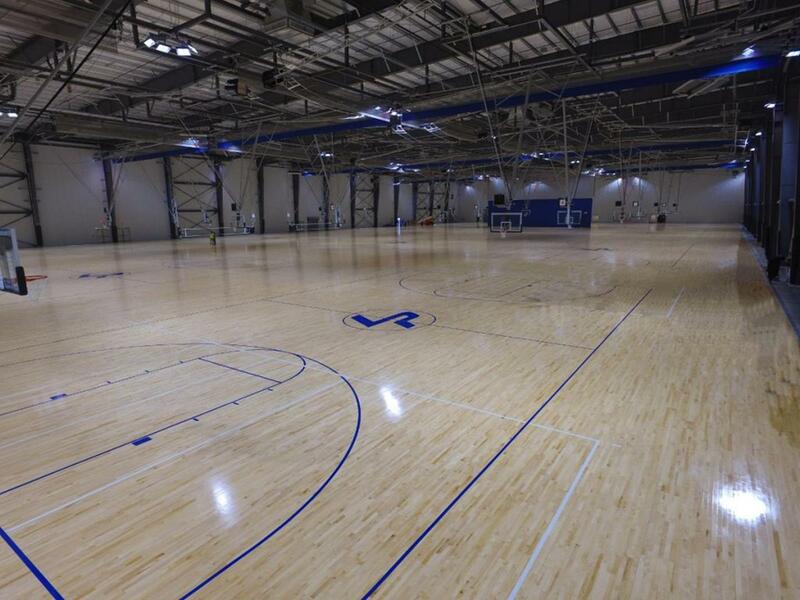 The facility has 12 hardwood basketball courts, 24 volleyball courts and nine meeting rooms, making it ideal for hosting almost any indoor sports tournament. Other high-tech features include a massive video wall and digital scoreboards at every basketball court. Surrounded by a multitude of hotels and restaurants, LakePoint has all the advantages for holding basketball tourneys, such as the Adidas Memorial Day Classic. Spooky Nook might have a funny name, but it’s serious about being one of the most advanced indoor sports complexes in America. Ten basketball courts, four field hockey courts, six soccer field, 10 volleyball courts, an indoor track and a full-sized baseball field make up 700,000 square feet of indoor sports heaven. But it’s not all sports—Spooky Nook maintains its state-of-the-art image with a fitness center, a climbing center, a food court and an arcade. Looking to stay in Lancaster while at a tournament or event? The Nook has you covered with its 135-room Warehouse Hotel. And skip the fast food just off the highway—instead, the Forklift & Palate Restaurant, also located in the indoor complex, serves up classic, contemporary cuisine. Spooky Nook offers a once-in-a-lifetime experience that players, coaches and fans will not want to miss. Nicknamed the “Sports Capital of Texas,” the city of Round Rock boasts some impressive athletic attractions. The Round Rock Sports Center, though, might be the town’s very best, with its six basketball courts, 12 volleyball courts and over 47,000 square feet of open space. Opened on January 28, 2014, the venue is also equipped with a training room, LED scoreboards and three multi-purpose rooms. Such a massive (and expensive) facility doesn’t go idle—23 local sports organizations use the facility regularly, while the complex hosted the 2016 Collegiate Table Tennis Championship earlier this year. 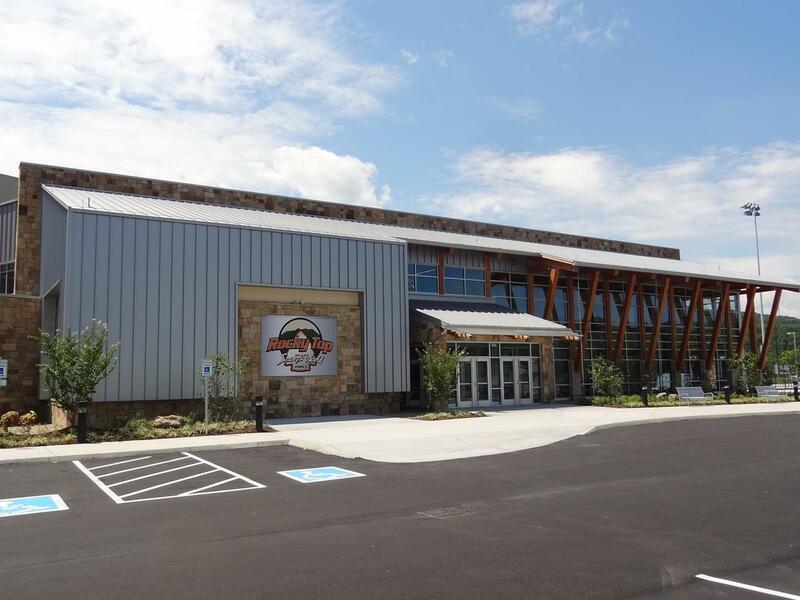 Round Rock Sports Center is located just off of Interstate 35 and near a variety of eateries, making it an attractive indoor option for event planners. For more information on Round Rock sports facilities, click here. Rocky Top’s 86,000-square-foot indoor facility includes six basketball courts, 12 volleyball courts and an indoor/outdoor grill area, not to mention the most exceptional spectator viewing set-ups of any venue in the country. Another advantage of planning an event at Rocky Top Sports World is easy access to downtown Gatlinburg via the Gatlinburg Trolley system. The amenities provided at this venue make it perfect for hosting tournaments in sports like martial arts, wrestling and table tennis, to go along with the standard basketball and volleyball events. In 2016, the USSSA State and Regional Basketball Tournament is slated to take place at Rocky Top Sports World June 3-5, while the 2016 Summer Grappling Games are scheduled for early July. For more information on Gatlinburg sports facilities, click here. The lure of beautiful Myrtle Beach may be its wonderful climate and near-perfect location—pristine beaches, delicious restaurants and a hectic shopping scene make the South Carolina town a top vacation destination—but it also has some great indoor sports facilities. Myrtle Beach Sports Center is a 100,000-square-foot complex with 72,000 square feet of playable, open court space and seating for over 1,500. There are eight high school basketball courts, four NBA-sized courts and 16 volleyball courts, making the complex perfect for holding large tourneys. Beyond the hardwood, a 12-screen video wall and an indoor/outdoor café add to the long list of advantages of hosting an event at the Myrtle Beach Sports Center. A plethora of events is penciled in for this year, including the Myrtle Beach Rumble basketball tourney June 17-19 and Seaside Classic Pickleball Tournament in early September. For more information on Myrtle Beach sports facilities, click here. Though the UW Health Sports Factory is yet to open, construction is 80% complete and the complex should be ready for use in early June. 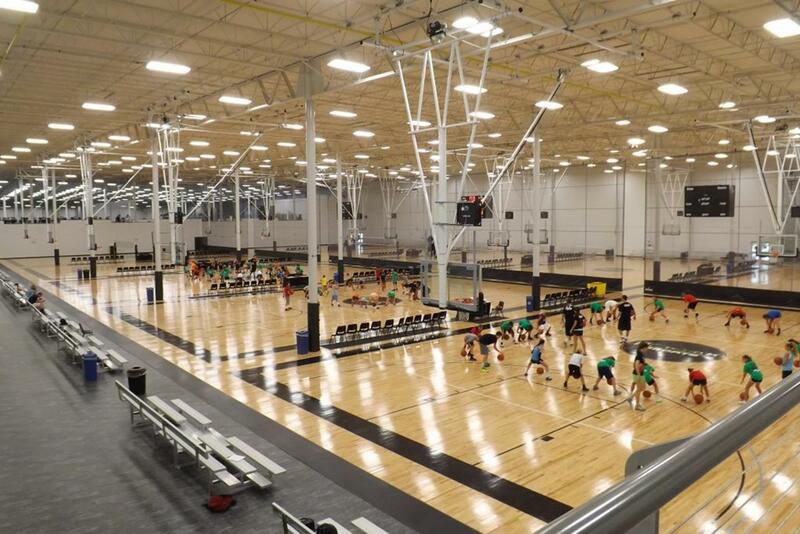 Tournament planners, players, coaches and spectators are ready for the grand opening of the 108,000-square-foot venue, expected to be the centerpiece of Rockford sports and used for a variety of events. It will feature 16 volleyball courts, 8 basketball courts, 16 wrestling mats and 42 pickleball courts, not to mention seating for up to 3,700, portable bleachers, five meeting rooms, an event plaza and a restaurant/bar. Located on the Rock River just off of Interstate 90, the UW Health Sports Factory is easy to reach and should be popular with local residents and out-of-towners alike. For more information on Rockford sports facilities, click here. Situated in the Waterpark Capital of the World, the Woodside Dome is one of the top indoor sports complexes in the country. 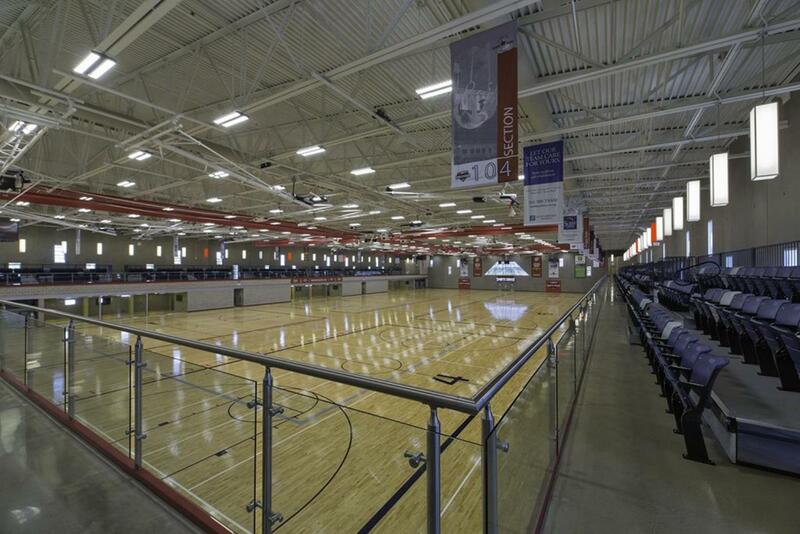 The largest facility of its kind in the Midwest, it houses 16 volleyball courts, 10 basketball courts and up to 32 wrestling mats, and can accommodate sports like football, softball, basketball, wrestling, volleyball, fencing, marathons, gymnastics, dance and cheer, lacrosse, field hockey, martial arts, indoor golf, soccer, baseball and ultimate fighting. Located along Highway 13 and near Chula Vista resort, the Woodside Dome hosts dozens of events each year. For more information on Wisconsin Dells sports facilities, click here. 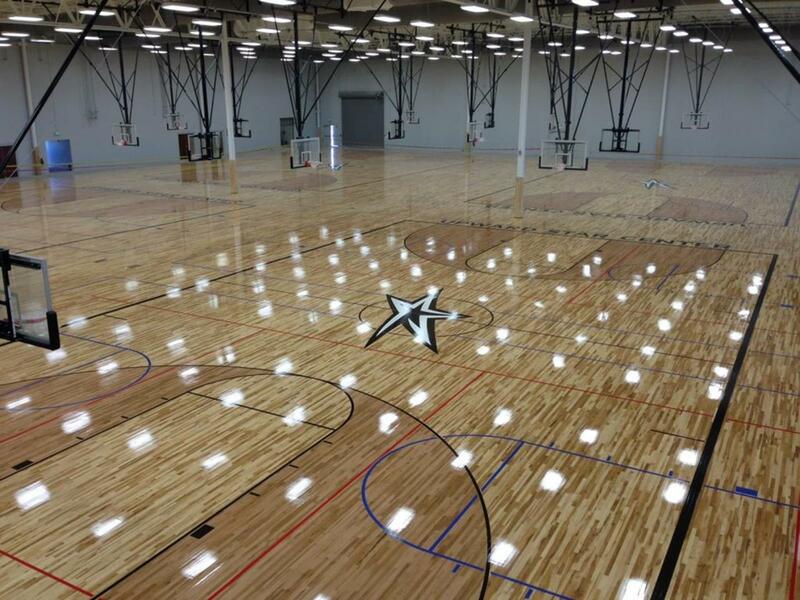 Opened in 2014 and boasting 120,000 square feet of space for sports ranging from volleyball to golf to baseball, the Upward Star Center has staked its claim as one of South Carolina’s premier indoor sports facilities. 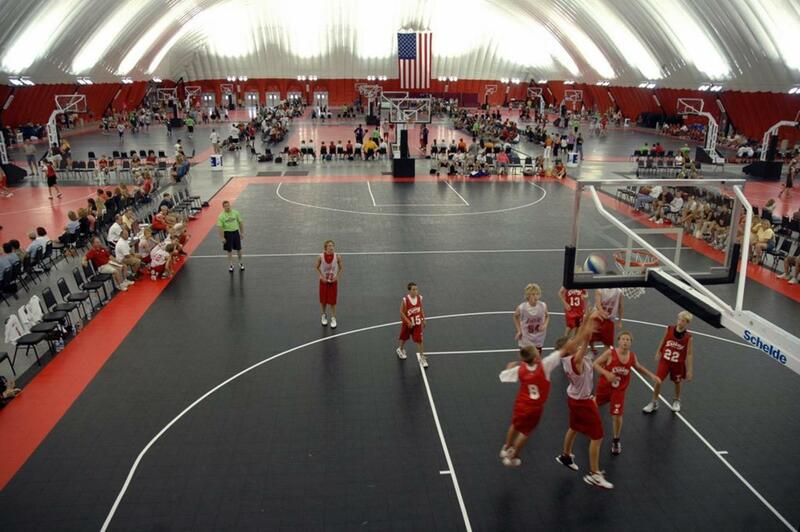 The venue is most notably home to Upward Sports, the world’s largest Christian youth sports league. Through Upward, kids are provided with the skills necessary to grow as athletes and as people, with careful instruction in the form of one-day clinics, weeklong camps, specialized training academies and full-season leagues. The organization, established in 1995, certainly has enough to work with in terms of facilities—there are six basketball courts and 12 regulation indoor volleyball courts in addition to batting cages, golf swing analysis, a running track and a gym with weights and cardio machines. The Upward Star Center, located near a Holiday Inn and a Hampton Inn, plans to host a variety of events in 2016, including the June 10-12 Southeast Hoop Fest for age levels 12U through 17U. For more information on Spartanburg sports facilities, click here. Though Grand Park’s indoor facilities currently only include Jonathan Byrd’s Fieldhouse, an 88,000-square-foot building with eight basketball courts, eight volleyball courts and futsal league areas, big changes are coming. The Grand Park Events Center intends to open in July 2016, and when it does, the 370,000-square-foot facility will quickly rise to the top of the ranks of indoor sports sites. The venue will contain three full-sized professional soccer fields and room for office space, locker rooms, meeting rooms and a restaurant. Beyond its size, the Events Center will house the Grand Park Hotel, making it convenient to host special events and large sports tournaments. Just another feature in the onslaught of sports complexes in Westfield, Indiana, the Grand Park Events Center will have no trouble luring patrons through its doors. For more information on Westfield sports facilities, click here.